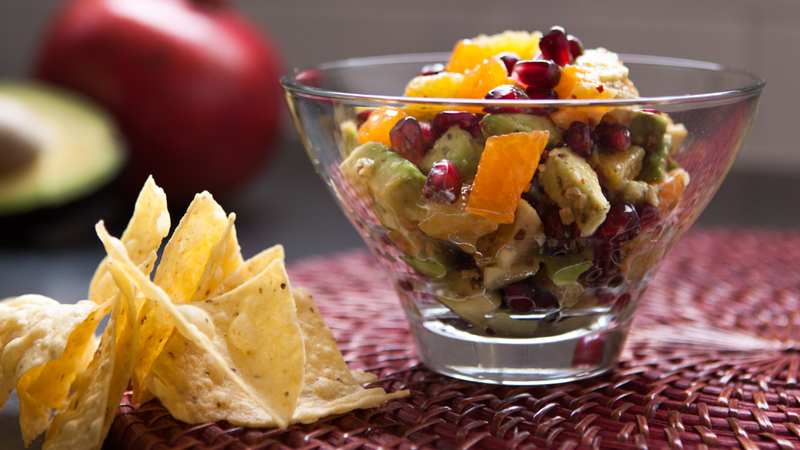 A seasonal twist on fruit salsa! 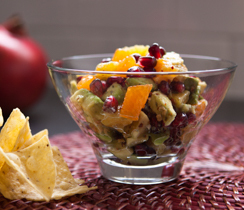 Place avocado, orange with juice, and pomegranate seeds in a shallow bowl. Sprinkle with remaining ingredients and toss gently. 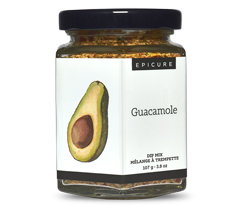 Serve at room temperature with tortilla chips.